Community-campus engagement in higher edu­cation provides educational experiences for students to grapple with complex, real-world problems, including the lack of equitable access to healthy food for all. 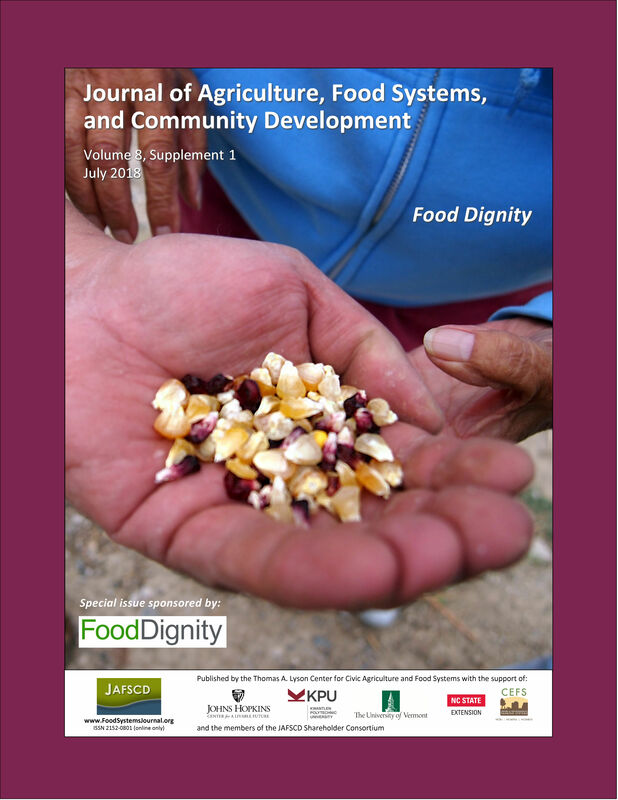 In this reflective essay, three faculty members of a teaching-focused college report and reflect on the benefits and challenges of community-campus engagement through a food justice education action research project called Food Dignity, funded by the U.S. Department of Agriculture. Achievements included developing a curricular approach, preparing students for com­munity partnerships and community-based research, strengthening institutional commitment to community-campus engagement, and establish­ing community and institutional networks. Out­comes include that student participants revised their values and attitudes about the food system and their ability to change it. We discuss challenges, including academic supremacy and unequal power relations, and offer recommendations for future community-campus food justice initiatives.